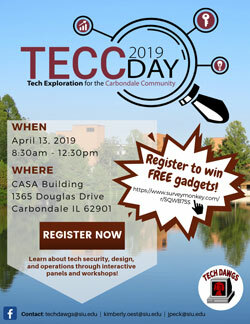 The inaugural event will feature speakers and workshops on various technology topics to provide a “fun, educational and inclusive experience,” said Belle S. Woodward, associate professor in ISAT and faculty adviser. The event is free and open to the public. While not required, pre-registration is recommended for breakfast considerations. Nicklin is a cybersecurity specialist with 20 years of experience in information technology and operational technology. He specializes in industrial control system cybersecurity. He earned a bachelor’s degree in Information Systems Technologies from SIU Carbondale and a master’s degree in Cybersecurity Technology from the University of Maryland University College. Jessica Peck, Tech Dawgs vice president, said the event is an opportunity for students to be involved with serving their community. The interaction helps students’ professional and educational development and allows them to improve their interpersonal skills, gain self-confidence and increase a desire to improve the community. “Although we know this is only the beginning, we are all excited to see this event grow in the future and hope to inspire years of students ahead of us who also wish to make an impact in the community around them,” Peck said. 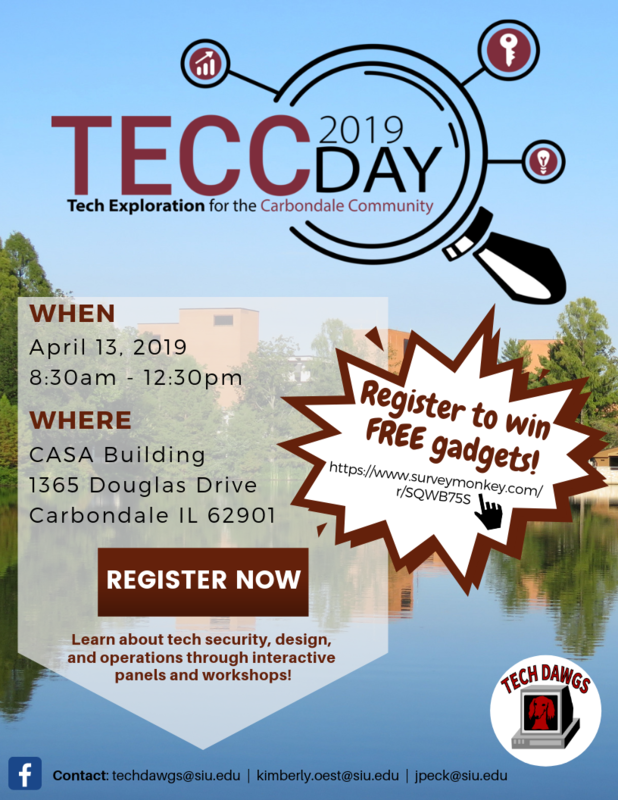 For more information on the event, contact information systems technologies students Kimberly Oest at kimberly.oest@siu.edu, Peck at jpeck@siu.edu, or the Tech Dawgs RSO at techdawgs@siu.edu.